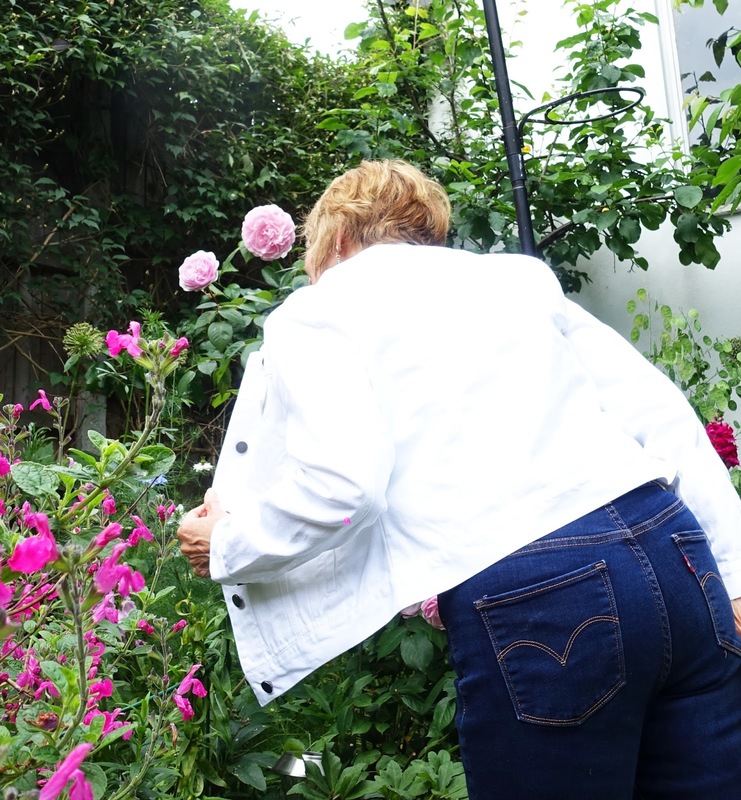 Bonmarché white denim jacket | Is This Mutton? I've been searching for a denim jacket for years. I did find a Dolce & Gabbana one in a thrift shop but I was seduced by the label and it's too small. The boxiness of a denim jacket is a difficult shape for me. 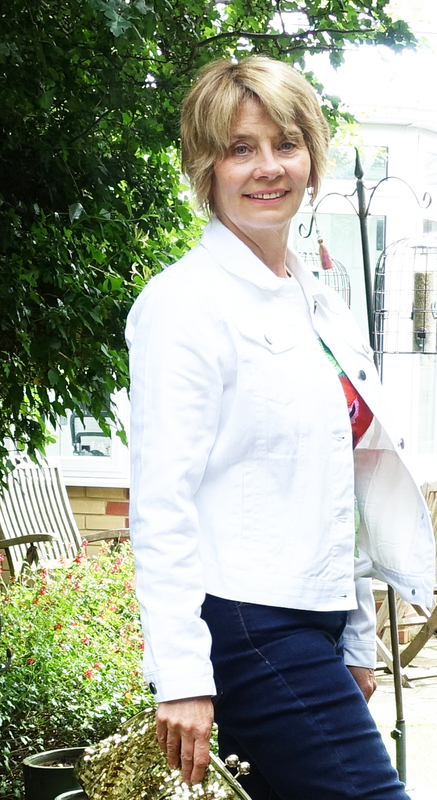 I was thrilled to find this white denim jacket from Bonmarché which will go with so many outfits. 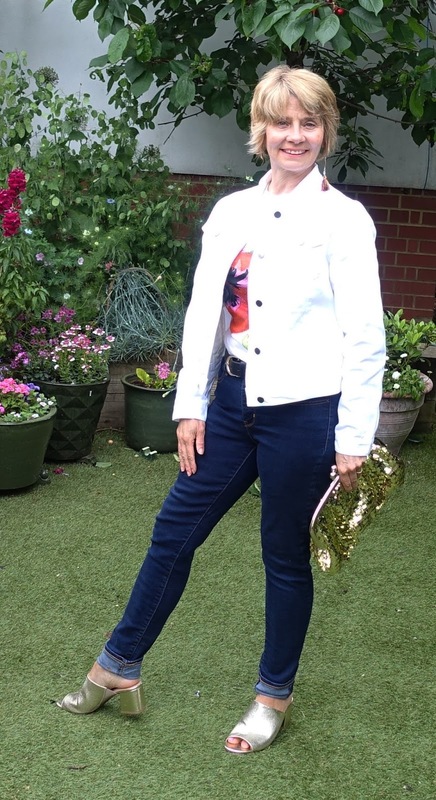 Here I'm wearing it with Levi jeans, gold mules from Marks and Spencer, gold bag from New Look (old) and a Dior t-shirt. 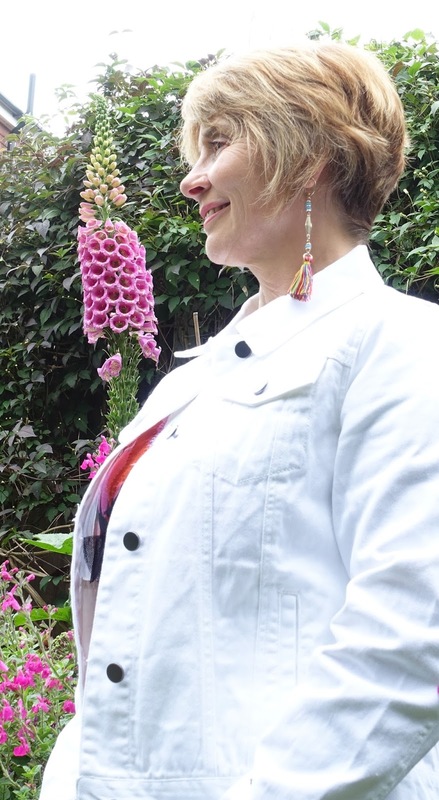 Tassel earrings from Next. It will be very versatile - I can see myself wearing it with a dress, as part of an all-white outfit, and over a black top and black trousers. 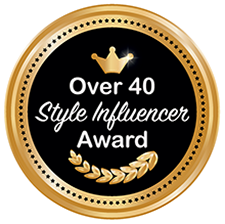 Sharing this post with Style with a Smile at Style-Splash, Turning Heads Tuesday at Elegantly Dressed and Stylish and Top of the World Style at High Latitude Style. I keep talking myself out of a white denim jacket because I have a white denim vest! But they can be worn so much---I may have to give in! This jacket looks great! Bonmarche have some amazing clothes. Hope you enjoy your day! White is one of my most feared colours Gail - it looks fab in the U.S. where the sun always shines, but it can look a bit dodgy on a grey day in the UK. But on you, this is working so well. I think you've added lots of other interest to draw away from the whiteness of it all. Love all that glitz and sparkle! You can't beat a bit of glitz and sparkle! Such a great, versatile jacket, Gail! Love how you've styled it and can really see you wearing it with so many things. It will add the perfect pop of freshness to any look. Love those metallic mules, too! You look great in this look. Great slides. Thanks for joining the Top of the World Style linkup party. Thanks Nicole! Always a pleasure. I'm surprised I haven't got a white one before - very useful! I think my white denim jacket is too big and boxy. I had plans to wear it so many ways but every time I put it on, I feel self-conscious. Maybe it is time to find one with a better fit. The price and fit on yours are perfect! And you wear it so well. 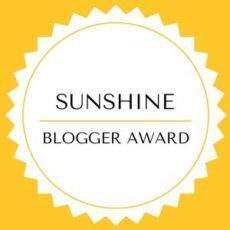 Thank you for linking up with Jennie and me for Fabulous Friday. I have a couple of denim jackets but have never thought to buy a white one...I might have to reconsider. I love the gold accents and printed T-shirt. 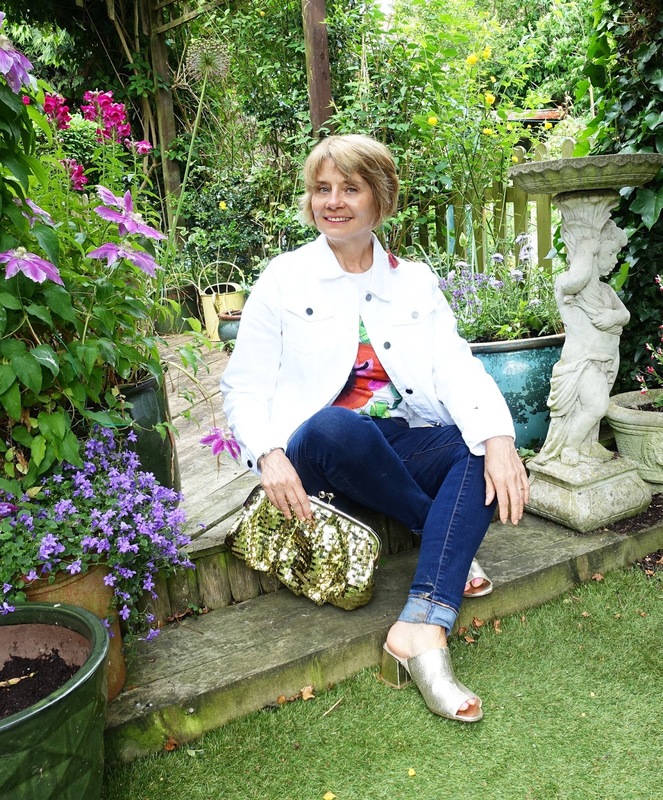 Fab outfit Gail, thanks for linking up!